If you’ve never tried Thai food before then this is a great recipe to start with. It has great groupings of fantastic ingredients without having overpowering flavors that you aren’t used to. I don’t know about you but when I am trying a new type of food for the first time, the menu at the restaurant can be pretty intimidating. 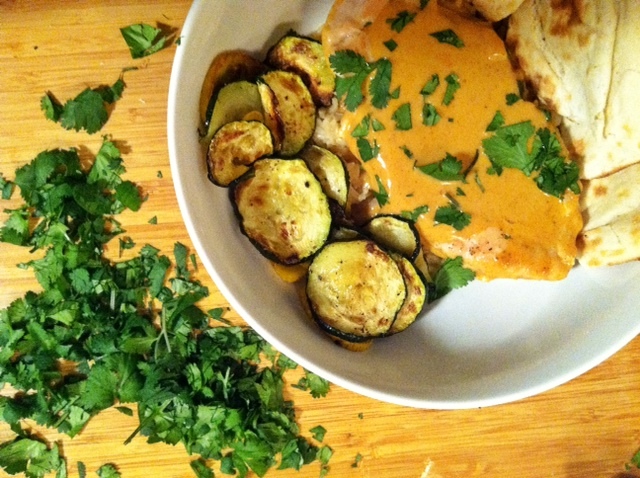 This recipe involves making a sauce in a blender so it isn’t intimidating at all. One of my favorite things about food is how everyday flavors that we think nothing about can come together to be extraordinary. To me, Thai and Indian food are probably some of the most representative types of food for these wonderful combinations. 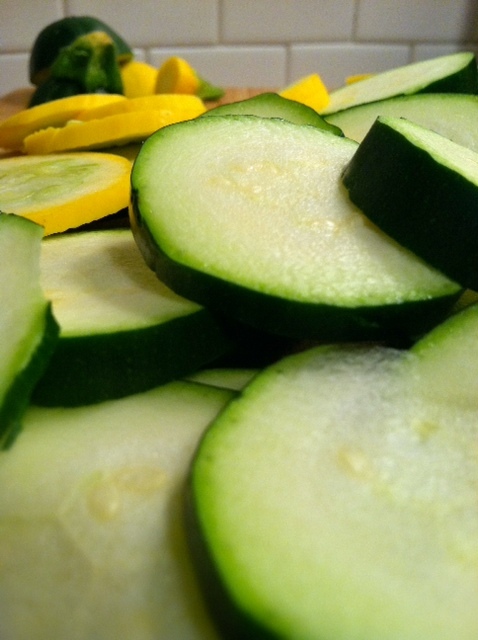 I served it with roasted squash and zucchini, because they are so savory (just thinly slice 2 squash and 2 zucchini with olive oil, salt and pepper and roast on parchment lined baking sheet for 25-30 minutes. I like mine a little crunchy on the edges). 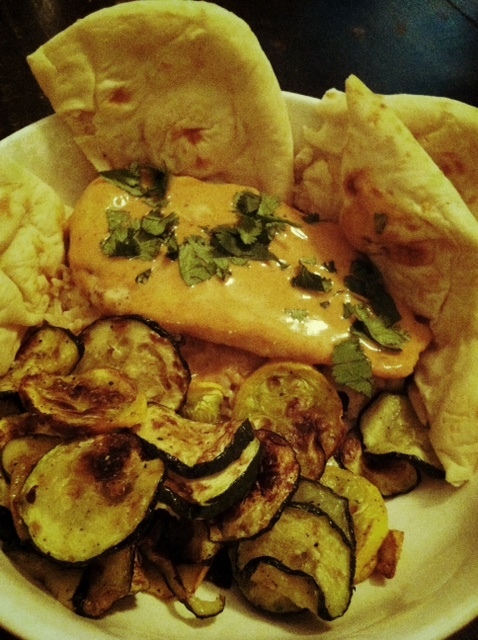 Naan bread made sure I had something to sop up this wonderful sauce. 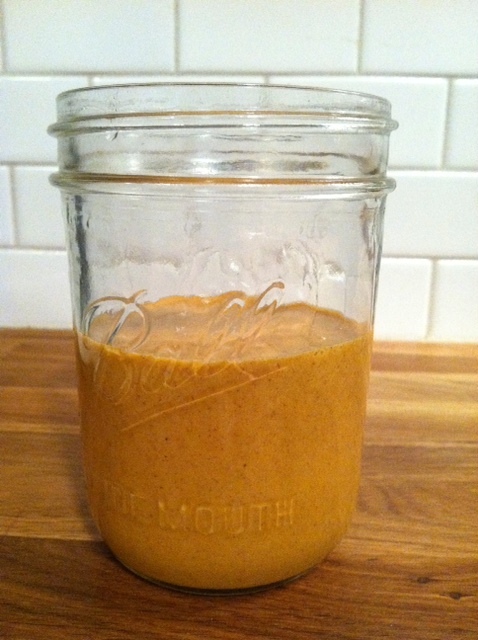 *The recipe calls for peanut butter but since I lose the ability to swallow my own saliva and because my breathing becomes labored when I consume peanuts, I decided to use almond butter. 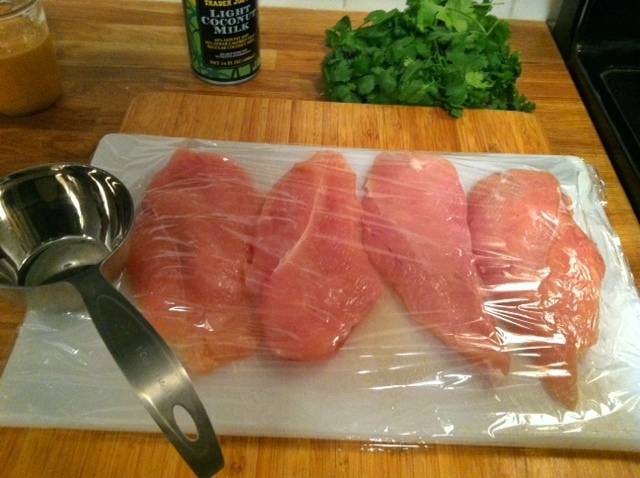 Pound out chicken to get all pieces to the same thickness. Mince the ginger and garlic. In food processor combine ginger, garlic, almond butter, rice vinegar, soy sauce, sugar, curry paste, siracha, and chicken stock. Heat the oil in a large skillet. Season chicken with salt and fresh black pepper, then add chicken to pan and saute over medium heat about until chicken breasts are nicely browned and cooked through, 3-4 minutes on first side and 2-3 minutes on second side. Set chicken aside onto a plate and cover with foil. 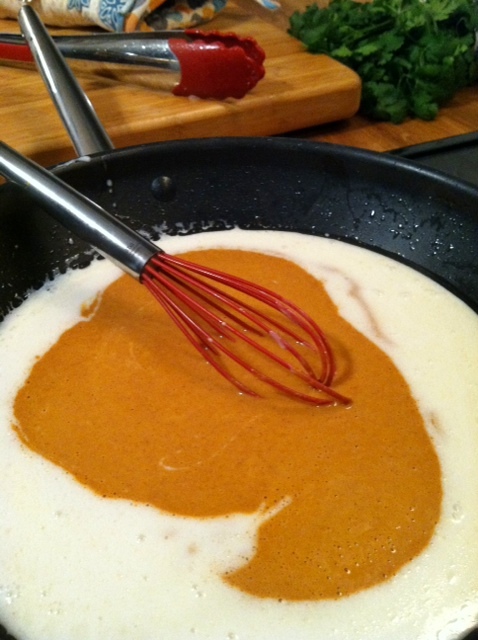 Reduce heat to low and add 1 cup coconut milk. Scrape off browned bits from the bottom of the pan, then stir in paste mixture and heat through, about 2-3 minutes. 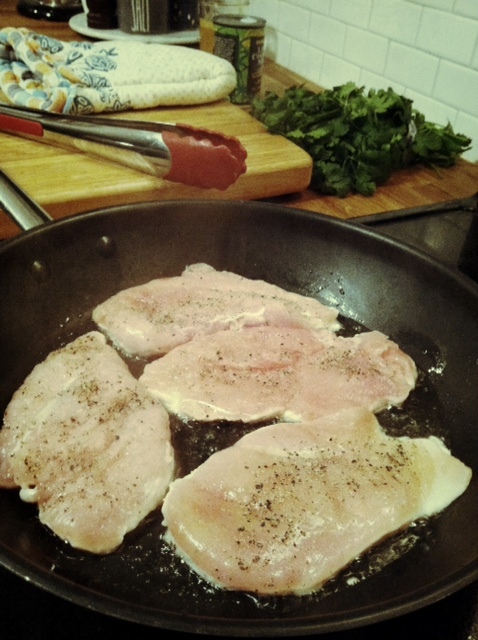 Add chicken and any juices that have accumulated on the plate and cook another minute or two. For rice: cook brown Jasmine rice (or rice of your choice) in chicken broth according to package directions. 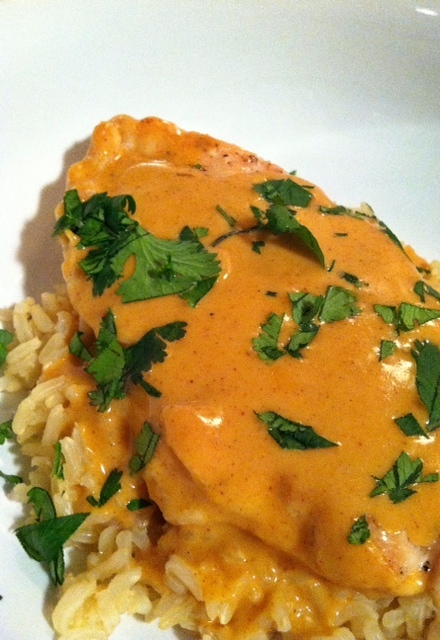 Serve chicken over rice and top with cilantro.